Detox Plus UK can offer a selection of crack cocaine rehabilitation programmes throughout London and the UK. Crack cocaine is a highly publicised illicit drug that has left a path of destruction and death in its wake. Crack cocaine is made by mixing ammonia or baking soda until it becomes a powder. When the concoction dries, it forms into a rock-like substance. The most common way of ingesting crack cocaine is by vaporising it in a glass pipe to make it all the easier to inhale. Where does the name crack cocaine come from? Because crack cocaine is considered to be a highly illegal drug, its use in any capacity is considered to be abuse. The most common way of using this drug is by smoking it which allows the user to become high quickly. The high attained only lasts a short time which means the user has to smoke copious amounts of the drug to maintain their high for any significant period. The potential of overdosing on crack is very real. After a user has become addicted they will require more and more of the drug to get high. Because the drug’s effects are short-lived many users overdose attempting to prolong its effects. Those who are struggling with high blood pressure or kidney problems may experience potentially fatal complications when smoking crack. Crack cocaine can cause addiction in its users much faster than “regular cocaine” and may even hook a user after their first use of the drug. This causes the user to experience a short-lived, yet pleasurable high prompting users to seek more of the drug to achieve the same feeling. When addiction inevitably sets in the user will begin to require the drug to feel like a “normal” person. Like many illicit drugs, crack upsets the equilibrium of the brain by setting off an excessive amount of dopamine (the chemical that makes you feel happy). Over time, dopamine’s ability to naturally replenish will become reduced. Crack isn’t easy to give up. A combination of powerful withdrawal symptoms along with strong cravings makes quitting extremely taxing on the body. Crack cocaine isn’t just physically addicting. It’s also addicting on a psychological level. Overcoming addiction on your own is rarely recommended. Users often require the services of a detox centre specifically suited to help crack cocaine addicts recover from their addiction. Just like a detox from alcohol, there are two phases of crack cocaine withdrawal — acute withdrawal (immediate symptoms) and protracted withdrawal AKA post-acute withdrawal symptoms (PAWS), long-term symptoms that can persist for weeks, months, or sometimes even years after the user has quit using crack. How long does withdrawal symptoms last? The duration of withdrawal symptoms can vary depending on a variety of factors such as tolerance levels, the severity of the addiction, the body chemistry of the user, and other such factors. Withdrawal can kick in as soon as 1 hour after your last use of crack cocaine or as long as 72 hours. Physical symptoms of withdrawal can linger for as long 1 to 3 months. During the first week of detox from crack cocaine, the patient will experience the most severe withdrawal symptoms from the drug. As a result, they may even feel they’ve completely recovered from their addiction. This is a vulnerable time for many people because they often relax and lower their guard. Sadly, many people relapse because they become a bit too comfortable and give in to the temptation of the drug once more. Relapse is one of the primary reasons why detoxing in a rehabilitation centre is highly recommended. Rehabilitation centres offer a fully immersive environment where the patient is isolated from the outside world. Triggers are reduced, and medication is given to the patient to deal with the worst of their withdrawal symptoms. Crack is rarely used by those who haven’t used cocaine before. In fact, the vast majority of crack users are already addicted to cocaine. Crack is easy to come by and relatively cheap, as opposed to regular cocaine which often commands a much higher street price. 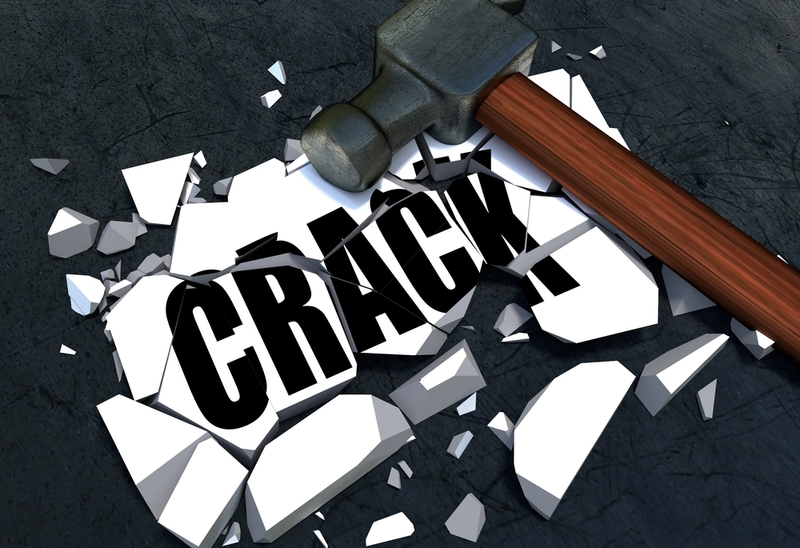 Due to its high availability and cheap price, crack is accessible to a wide variety of people, especially those who aren’t well off financially. However, even those who don’t have much money will end up spending tens of thousands of dollars on the drug as the years go on to support their habit. If you struggle with an addiction to crack cocaine, you may feel like you can never go back to being normal, but seeking the help of a professional rehabilitation clinic is the first step to healing. The road to recovery is difficult, but as long as you stay strong and strive as hard as you can to overcome your habit than it’s very possible to recover. Give us a call today in complete confidence for free help and advice. What Can I Do To Help Someone Addicted to Crack Cocaine? Get in touch with a dependable addiction professionals available 24/7. You will be talking to someone knowledgeable about cocaine abuse, rehab and recovery centres who can help you find a crack cocaine recovery program. Regardless of whether a drug is legal or illegal, using drugs while pregnant will have a direct impact on the fetus. For this reason, it is essential to avoid drug use during pregnancy if you want a happy, healthy baby. Specifically, crack/cocaine is unsafe for pregnant mothers and their fetus. If you smoke crack while pregnant, you are at higher risk of miscarriage. Also, your baby is at high risk for encountering developmental problems both before and after they are born.